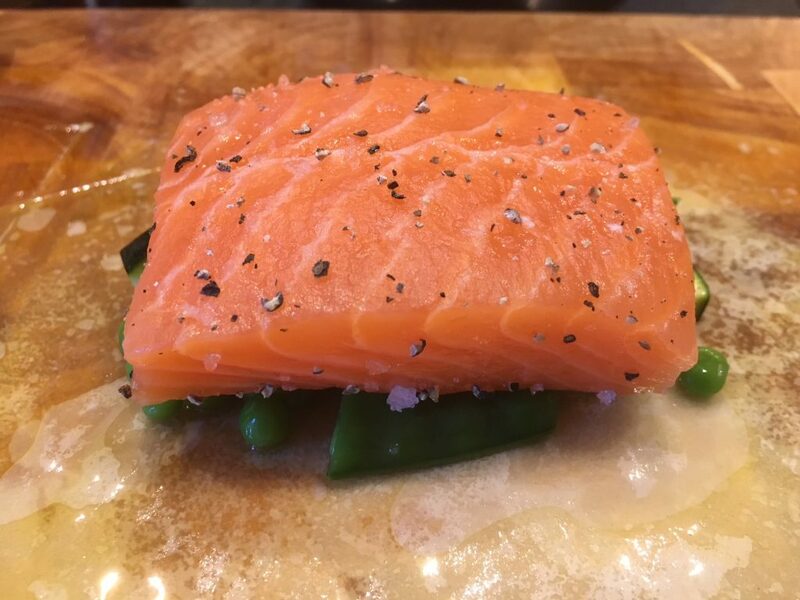 Wow your friends at your next dinner party with one of 2018’s favourites from La Villa’s kitchen. Firstly prepare your vegetables. Top & tail the courgette and then cut in half, then in half again length ways and then finely slice – place in a bowl. Bring a pan of water to the boil; remove the ends of the beans and then cut in half (or thirds if your beans are quite long). 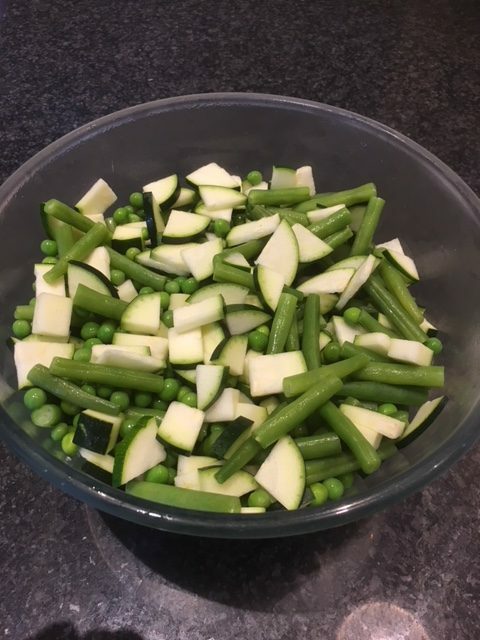 Place the beans & peas in the boiling water with a little salt and simmer for 4 mins, drain in a sieve and refresh under cold water, drain completely and then add to the courgettes, mix thoroughly with a little salt & pepper – cover and place in the fridge until needed. 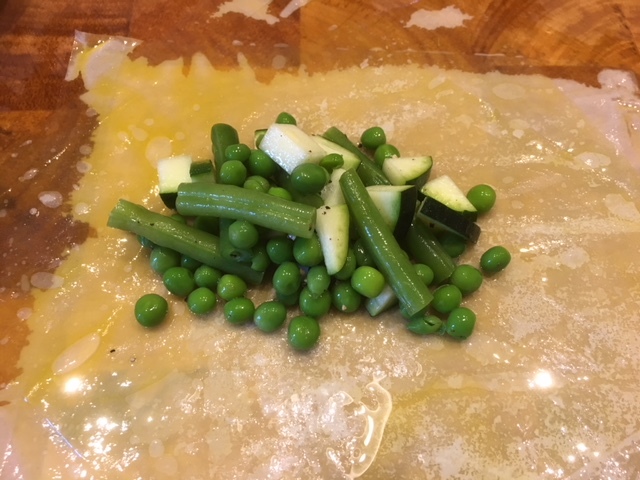 (you can use a mix of other green veg from asparagus tips to mange tout). Open your pack of filo pastry and unfold. Cut the complete pack in half and then half again (so you have a pile of equal sized rectangles). Pour some vegetable oil in a ramekin; place one of the rectangles of filo on a clean chopping board and, using a pastry brush, brush all over with oil. Add a second rectangle at 90 degrees to the first and again oil, then repeat with a third (so you end up with a 12 pointed star). 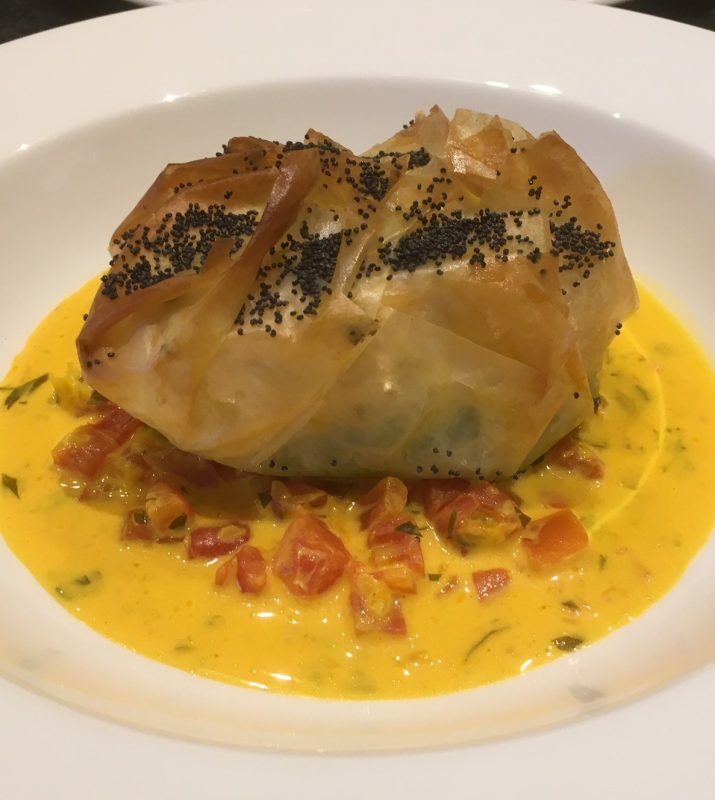 Place a couple of large spoons of your vegetables in the centre of the filo. 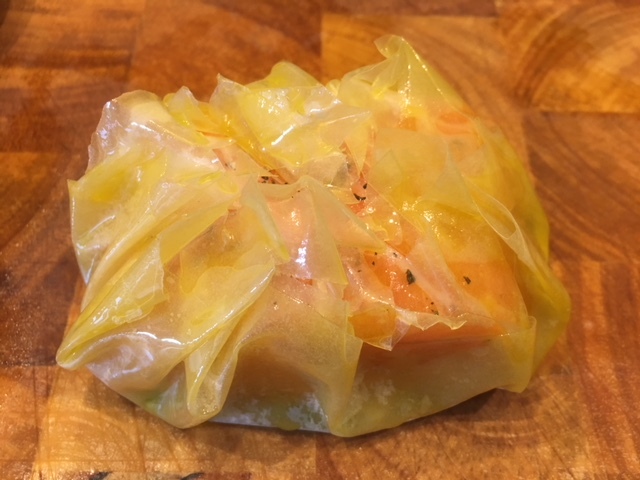 Gather the filo in a tight bunch to cover the salmon; brush the sides with oil. Place the finished parcels on a silicon-lined baking tray. 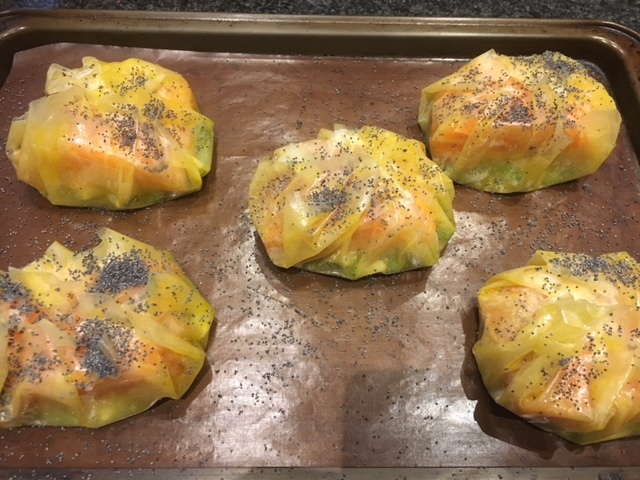 Sprinkle with poppy seeds, cover with clingfilm and place in your fridge for up to six hours prior to cooking. To make the accompanying saffron sauce. Place the butter in a large non-stick saucepan and place on a medium heat. Add the shallots and sweat down for a few minutes, without colouring. Add the chopped tomatoes, parsley, saffron and white wine and stir to combine – bring to the boil and then turn the heat down & simmer for 5 mins before adding the single cream. Stir to combine and allow to simmer gently for 20-30 mins until it starts to thicken. Remove from the heat until required. Whilst the parcels are cooking, re-heat your sauce and warm your serving bowls. Place a small ladle of the sauce in the centre of the bowl and top with the parcel – et voila ! NOTE – this saffron sauce is quite versatile and works well with chicken breast, veal as well as cod and other meaty fish like monk.